Making Your Child’s Dental Care A Lot More Fun! Generally speaking, your kiddos aren’t going to see dental care as the most exciting, fun-filled part of their day when we’re just talking about the basics. 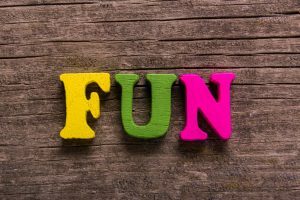 However, what you may not have recognized yet is that there are absolutely some very easy ways to make this otherwise somewhat uninteresting chore become an enjoyable part of your children’s lives (and yours, too, come to think of it!). When you add some of our Livonia, MI team’s ideas into your usual daily routine, you may quickly find that dental hygiene can be something your whole family smiles about! You really need to consider making shopping a family outing if you realize dental care isn’t very much fun. Why do we suggest this? Well, if you keep just handing products over to your kids, they regard smile care as a chore that a parent tells them they have to do. Nothing fun about that! However, if you bring the kiddos along and let them have a say in the process, they will not only enjoy it more but they will also enjoy dental hygiene at home more, feel more pride in regard to smile protection, and they will learn more about what it takes to keep their smiles clean! We remind you that dental care time doesn’t just have to be a boring old session, in which everyone stands around in silence brushing and then flossing. Instead, make dental care fun by making it anything but a bore: Add music into the experience. Turn on the radio, set up a playlist, whatever you wish! When everyone feels jazzed by the melody in the background, dental hygiene time feels more like playtime and you are likely to see a lot of smiling going on! There are good times and then not so good times to use a rewards system. When it comes to dental care with your kids, rewards are often a very good idea. It gives kids something to work toward, since they are too young to feel excited at the prospect of a healthy smile being their reward! It could be anything at all, from a sticker to the promise of a fun outing. Use smaller incentives on a daily or weekly basis and larger ones for a month of complete care, etc. Figure out a system that works for your family! Come in with your kiddos in tow for the dental care little, growing smiles need. Remember to schedule twice-a-year dental visits, including cleanings and checkups, for long-term oral health protection. James Stewart, DDS, and our team serve patients from Livonia, MI, as well as Farmington Hills, Farmington, and the surrounding communities. To schedule a consultation, call our office today at (734) 425-4400.